Engagement ring is a ring symbolizing that the person wearing it is engaged to be married. Since the 20th century, it has been a necessary process to purchase engagement ring when a man gets ready to propose. 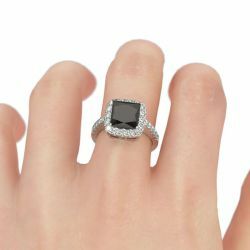 In general, the engagement ring is habitually worn on the left-hand ring finger until it is replaced with wedding ring. In some countries, the engagement rings will also be used as marriage rings. Customs vary elsewhere across the world. In history, Engagement Rings have experienced seven times evolution including design philosophy, design element and design theme. Ultimately, it has been the complex and diverse piece, and the best-selling jewelry among all bridal jewelries. 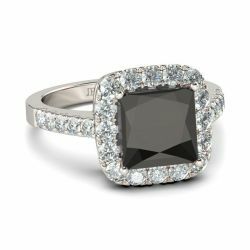 Jeulia engagement rings focus on the style and texture, and all pieces seriously experienced the 8 step process while produced. Compared with other jewelers, the good value for money is our prominent advantage. Jeulia engagement rings, the jewelry which everyone could afford, add a touch of splendor to your love!